You will discover these two new tabs: "Statistics" and "Live Stats" in the "Dashboard" section of your back-office. In the "Statistics" section, you will find detailed statistics, allowing you to analyze your calls (incoming / outgoing / missed), the average waiting time and the performance of your agents. 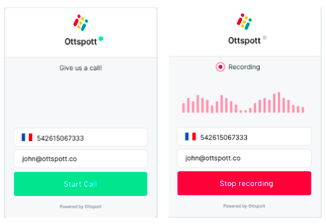 Finally, in the "Live Stats" section, you will find your statistics in real time with the number of calls in progress, those waitingand the status of your agents. The new Pipedrive integration can only be installed by the Pipedrive admin. Voicemails and call recording files will be added directly into the ticket note. And now, you can add it directly from our Pipedrive Marketplace. The new Zendesk integration can only be installed by the Zendesk admin. 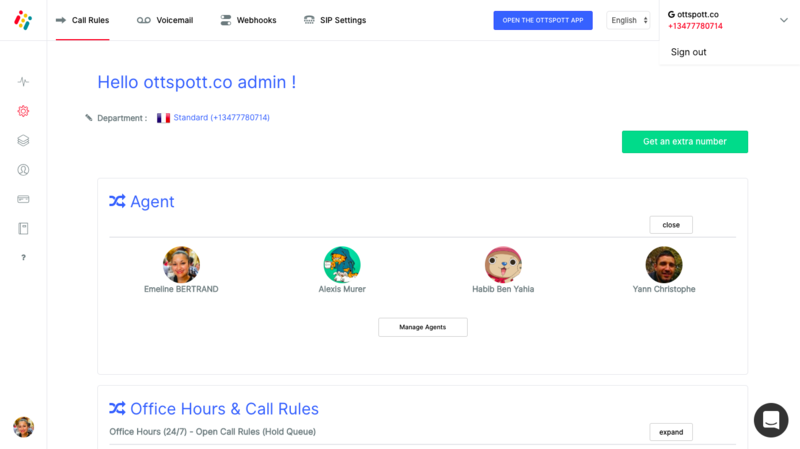 Previously, in the Ottspott back-office, only admins could assign users to one or more phone numbers. Now, by default, they will be assigned to all Ottspott phone numbers. You are now 100% free to decide who answers on which numbers. In the Ottspott desktop app (in the settings menu), no more “Second Line” will appear. You will be notified for all calls and the notification will display which phone number has been called. For outgoing calls, you can choose with which phone number ID you want to call.